Get ready to join the annual Hour of Code December 3–9, 2018! The Hour of Code takes place every year during Computer Science Education Week, the first week in December. This week's huge groundswell of support and attention is an ideal time for schools to put the spotlight on computer science programs, and to expand opportunities. The Hour of Code is a global movement that introduces tens of millions of students to computer science, inspiring them to learn more, breaking stereotypes and leaving them feeling empowered. According to Hour of Code organisers, women who try computer science (CS) in high school are 10 times more likely to major in it in higher education, but females currently only make up 25% of secondary school CS classrooms, and those ratios don’t change in the workforce! Introducing an Hour of Code is a great place to start addressing the diversity gap and introducing computer science to more girls in an engaging and empowering way. The Hour of Code™ is a nationwide initiative by Computer Science Education Week and Code.org to introduce millions of students to one hour of computer science and computer programming. Check out our free webinars to support you in implementing the Digital Technologies curriculum in your classroom. This webinar is useful for educators who have students that are transitioning from visual programming to text based programming. 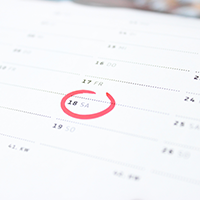 Get some ideas for formative and summative assessments, as well as strategies to help students engage in the assessment process and reflect on their learning experience. The October newsletter for the Hub focuses on child safety. It has links to child-protection awareness-raising activities as well as more comprehensive child safety strategies and protocols. Many early years educators are embarking on STEM activities and discussing the nature of digital play and what it offers children. You will find resources on coding and other STEM-based activities used in early years settings in the June 2018 edition of the ECRH newsletter. See activities that unpack the nature of digital play in the September 2018 edition of the newsletter. 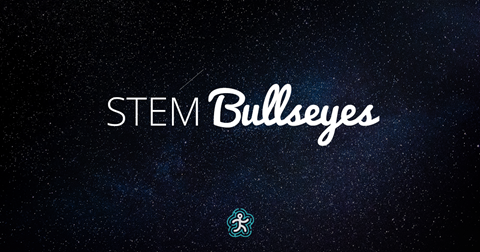 The STEM Biographical Bullseyes will help your students discover the vast number of occupations available in Biology, Chemistry, Electrotechnology, Maths and Physics. The colourful STEM Bullseyes can be printed up to A2 size and are great for engaging students with STEM careers. Download the Bullseyes on our Assist others page. Jackie Child shares ideas for engaging students with computational thinking, and resources to make it as easy as possible for staff. Pru Mitchell discusses the importance of promoting an interest in STEM among female students. She suggests seven steps for further engaging girls in STEM. Science teacher Jessica Cross shares her recent experience of collaborating with her school librarian to develop students’ science literacy skills. 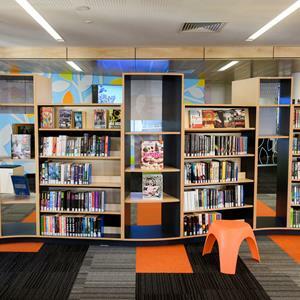 In this issue, we look at creating flexible learning spaces, diverse fiction titles, reviving non-fiction collections, pupil library assistant programs, and more. We are thrilled to announce the release of the Australian Student Wellbeing Framework. The Australian Student Wellbeing Framework has been developed to support school communities to address contemporary issues facing schools and build learning environments where students feel safe, respected, included and connected. The Framework is live on the Student Wellbeing Hub, where educators, pre-service teachers, parents and students can explore the key elements and principles of whole-school safety and wellbeing. On the Student Wellbeing Hub you can find resources, including professional learning modules, to engage school communities and support the uptake of the Framework in individual school contexts across Australia. Why not take a look at an overview of the new Framework in this short video? Visit our Facebook page and sign up through the Hub to receive newsletters that contain useful updates. Together we can all make a difference to the safety and wellbeing of everyone in the school community. Queensland educators: New to Scootle this month is Journi, an interactive road safety resource that incorporates key content from the Australian Curriculum (Health and Physical Education and Digital Technologies). Journi provides structured road-safety learning experiences for students in years five and six. It includes videos, games, quizzes, and the opportunity for students to create their own infographics and road-safety games. Journi also offers activity notes, program sequences and an online class dashboard that educators can use to view student progress and submitted work. Registration is free, but is required for access to this resource. Do you have time to complete a 10-minute survey? We are seeking feedback about our monthly e-newsletter, ESA News. Your responses will be invaluable in helping us ensure that ESA News continues to meet reader expectations. For the chance to win one $100 Visa gift card, please enter your name and email in the final question. Entries will be open until 5 pm AEDT Friday 30 November. If you have any questions, please contact userengagement@esa.edu.au. Education Services Australia is a not-for-profit ministerial company owned by Australia's Education Ministers. You are receiving this email because you have subscribed to the ESA News. If you no longer wish to receive these emails, you can unsubscribe using the link below.